The Sensa Aquila has been designed to be light, stiff and responsive while at the same time being comfortable and compliant thanks to some clever engineering of the carbon frame and fork. Perfect for epic hilly rides where you spend long hours in the saddle the Aquila is made from Monocoque Generation 5 carbon fibre and features slim seatstays that have been profiled to flex slightly while a large diameter down tube and big bottom bracket area means that this part of the frame remains super stiff even under extreme pedaling forces. This versatile carbon bike will enhance your performance regardless of the type of riding you prefer go further and feel fresher for longer on those epic all-day rides or race on the road with renewed confidence, the Aquila can do it all. With internal cables, smooth frame junctions and a simple understated matt grey finish the Sensa Aquila carbon road bike cuts an elegant figure in the peloton. I was looking to upgrade my current bike but then I find this great deal from Merlin for a full carbon bike with almost full R8000 (except the chain) promising a lot of bang for the money (only the groupset is worth more then half of the bike). The bike looks great and it`s already tuned out of the box. For size 58 it weights about 7,8 kg. It is my first carbon bike so of course I am pretty impressed with the performance, feels like a one piece machine with all the power going into the wheels. 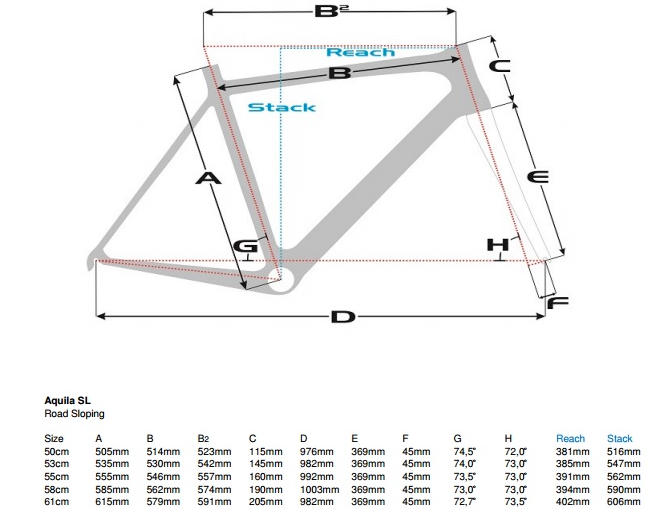 Relaxed geometry with very big head tube, it would be nice to have the option to customize the stem length, and handle bar width as the 120mm and 44cm that came with my 58 frame are not really for me.